Walter, the Labrador puppy is a lot of things. But no, he’s not mine. And no, he’s not a service dog pup. Walter is the first pup I’m raising for a client. He’s also a balm to help soothe the pain of losing all our dogs. He’s funny. He’s just what we needed. I’m not ready to love a dog of my own. But I can most definitely raise a puppy for someone else. When I agreed to raise this puppy for the client, Tango and Schooner were still here and were part of the raising plan I had created for him. They were going to be my training assistants to help teach Walter the Way of the Dog. Clearly, that plan hit the skids a couple weeks ago. We’ve never had just one dog. It feels so very odd. I wanted to get tributes written for both Tango and Schooner before I introduced Walter, as that felt like the right order things should happen. I’ve sat at my computer every day this week trying to put something down for both those dogs and I’ve not yet been successful. 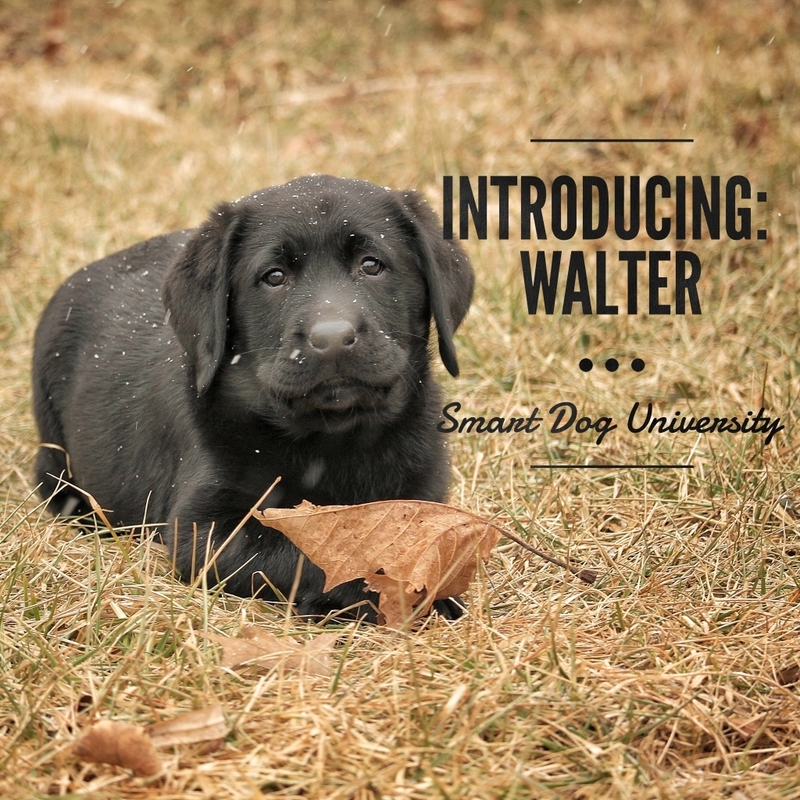 So, here’s Walter’s official introduction. Expect to see more of him. I’ll be documenting his training here on the blog and letting you in on the insanity of having a puppy in the house again. Without the help of more experienced dogs.